Stephen! This image is THE cover of your new book! Though I recommend a change in title. 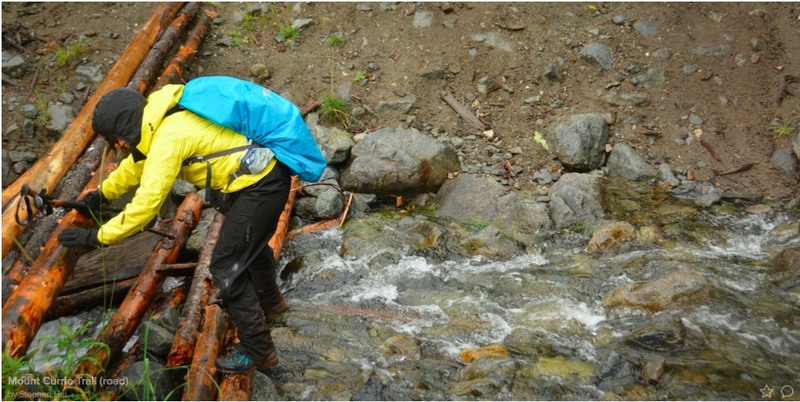 How about..”Hiking BC’s Backcountry with the Physically Illiterate and Socially Inept”? Bahahaha!!! Dude, you need to photoshop Niagara Falls underneath me. This is ridiculous. You know what I love about this shot? Visible are my chewy chocolate chip granola bars stashed in the side pocket. And you can just get a glimpse of my fanny pack! Ha! Good times. Always good times!